Our racing suit selection is large enough to easily fit your needs for race day. 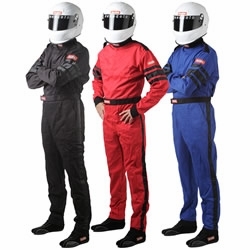 Wesco is your source for auto racing firesuits! 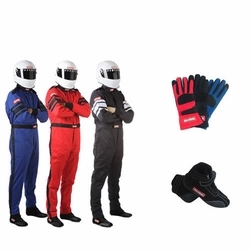 Just choose either the RJS suits, Racequip, Crow suit or Pyrotect racing suits link below to easily buy the perfect driver's suit for sale price online. 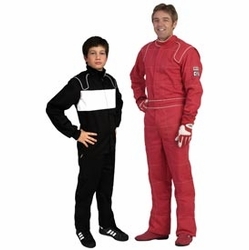 You can select a 1 piece or 2 piece suit to fit your racing needs. Whether you want Proban®, Nomex®, single layer, multi-layer, custom style or custom fit drivers suits, Wesco has the right racing uniform for you. 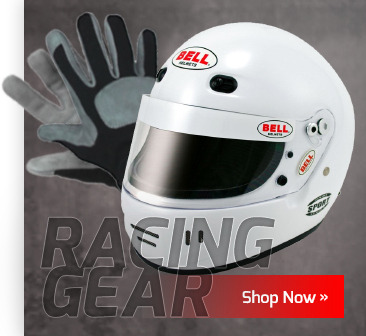 We offer the right firesuit for drag racing, stock car, sprint car, Jr. Dragster, oval track racing, tractor pull, dirt track racing and more. 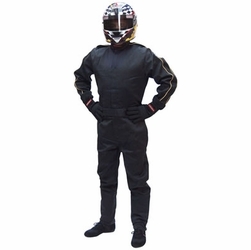 Ordering your driving suit online is easy. Our fire suits have SFI fire ratings from SFI 3-2A/1 thru SFI 3-2A/20 (SFI-1, SFI-5, SFI-15 & SFI-20) so you can always find the right fire protection for your drivers suit. Check with your auto racing association for the required rating. 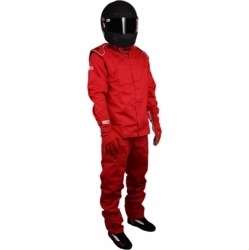 For SFI-15 or SFI-20 suits, click on the RJS link below. Your Source for Fire Suits and Suit Gear! SFI 3-2A/1, SFI 3-2A/5, SFI 3-2A/15 and SFI 3-2A/20 Race Suit Choices. "If you're looking for quality and performance at a fair price, look for Wesco. Great products, and the service after the sale is second to none! Top notch all the way!"